Home › Promotions › Get Happy Feet at H-D of Madison! Get Happy Feet at H-D of Madison! 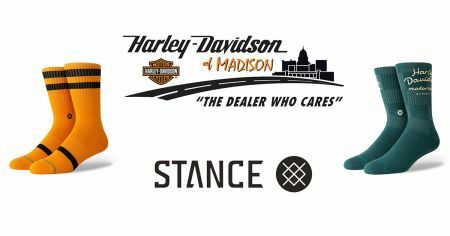 Harley-Davidson of Madison wants to give you happy feet! Come check out our extended line of men's and women's Stance branded socks - from crew cut to tomboy to classic and more! Your tootsies will thank you! *Offer valid March 20 - April 20, 2019. Some exceptions may apply. While supplies last. See Dealership for full details!